Lou Ann Mohrman, of Genoa, died on Monday, March 4, 2019, at Genoa Community Hospital-LTC. Funeral services will be at 10:30 a.m. on Wednesday, March 6, at McKown Funeral Home, with the Rev. Murry Jay Johnston officiating. Visitation will be from 5-7 p.m. on Tuesday, March 5, at McKown Funeral Home, and will continue from 9:30 a.m. until service time on Wednesday. Interment will be in Roselawn Cemetery. Lou Ann Mohrman was born June 4, 1954, in Columbus, to John and Katherine (Smith) Mohrman. She grew up in rural Monroe, and graduated from Humphrey High School in 1972. Lou Ann attended Beauty College in Columbus. She worked as a beautician at the Magic Mirror Beauty Salon before opening her own shop out of her home. Lou Ann loved country music, attending Marty Stuart concerts, cruising in her Mustang with friends, and vacationing with her parents. She is survived by her cousins, and is preceded in death by her parents. A memorial service will be held at 11 a.m. on Saturday, March 9, at First United Methodist Church in Columbus, with the Rev. Cindi Stewart officiating. Private family interment will be in Sunset Memorial Gardens in Hastings at a later date. The family will receive friends from 5-7 p.m. on Friday, March 8, at Gass Haney Funeral Home, and from 10 a.m. until service time on Saturday at the church. Memorials can be made to the Nebraska Chapter-Alzheimer's Association, The First United Methodist Church, The Columbus Area Future Fund, Hastings Public Schools Foundation, or the Crane Trust. Clinton Lowell Johnson, of Lincoln, passed away on Feb. 28, 2019, at the age of 35. Funeral services will be held at 11 a.m. on Thursday, March 7, at Messiah Lutheran Church, 1800 S. 84th St. in Lincoln, with the Rev. John Kunze officiating. A luncheon will follow the service at the church. Flowers are welcome. Contributions may be sent to the family to be designated at a later date. Clint was born in David City on Oct. 1, 1983. He graduated from David City Public High School in 2002. He went on to become a medication aide for a traveling nurse agency. 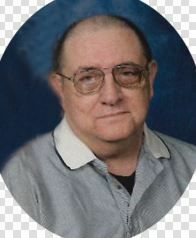 He worked in many skilled nursing facilities throughout Nebraska and parts of Iowa. He made friends wherever he went, and was loved by many. He will be remembered for his laid-back personality, great smile, and goofy laugh. Clint had many hobbies. He enjoyed fishing, disc golf, playing basketball and golf, watching football, playing video games, watching movies, and hanging out with family and friends. Clint loved the University of California Golden Bears (Cal), and watching college football and Nebraska Cornhusker basketball. Clint is survived by his father, Gene Johnson of David City; mother, Ruth Soukup of Curtis; sister, Jennie (Tim) Bogosian of Kearney; grandmother, Verla Johnson of David City; grandmother, Patricia Brancheau of Lincoln; and several aunts, uncles, cousins and numerous friends. Cindy Mohr, 64, of Genoa, died Sunday, March 3, 2019, at her home in Genoa. The funeral service will be held at 10 a.m. on Wednesday, March 6, at Augustana Lutheran Church in Genoa, with the Rev. Myron Meyer officiating. Interment will be in Valley View Cemetery in Genoa. Visitation will be from 5-7 p.m. on Tuesday, March 5, and will continue from 9-10 a.m. on Wednesday, all at the church. Memorials may be directed to the Kidney Foundation and please be an organ donor. Cindy was born on Jan. 3, 1955, in Columbus, to Elbert “Bud” and Virginia “Ginny” (Grape) Taylor. She grew up in Genoa, and graduated from Genoa High School in 1973. On Sept. 16, 1974, Cindy was united in marriage to Denny Mohr at Augustana Lutheran Church in Genoa. They moved to Norfolk, where Cindy worked at Gambles. In 1976, they moved to Genoa, and Cindy worked at B-D and then at the Genoa Leader Times. Cindy was avid crafter, gardener, loved to fish and take care of her flowers. She was an excellent cook and baker. Cindy is survived by husband, Denny Mohr of Genoa; sister, Marsha (Clayton) Fischer of Columbus; sister-in-law, Bev Mohr of Omaha; brother-in-law, Jim (Pat) Mohr of Sun Valley, Nevada; brother-in-law, Bob (Deb) Mohr of Sioux Falls, South Dakota; nieces and nephews: Nicole Ponto, April (Nate) Blaser, Jacob and Ryan Ponto, Taylor Blaser, Brian (Claire) Mohr, Monica Wall, Alex Wall, Valarie Mohr. Cindy was preceded in death by parents, Bud and Ginny Taylor. Condolences may be sent to www.Ramaekersfh.com.